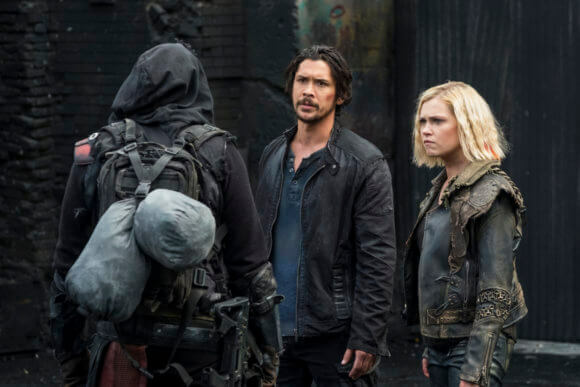 The 100 returns to The CW’s primetime lineup on April 30, 2019 and will once again be changing up the world that greets the survivors. Season five ended with Clarke (Eliza Taylor) and Bellamy (Bob Morley) waking after spending 125 years in cryosleep. Monty and Harper stayed awake to monitor their journey and ultimately discovered a new planet that could be the group’s home because the Earth was no longer an option. Both Monty and Harper have died, however their son, Jordan, is already awake and along with videos explains what happened while those on board ship slept. The 100 season six will pick up with Bellamy, Clarke, and the survivors making their way down to this new planet. In our interview at the New York Comic Con, Bob Morley talked about what fans of The 100 can expect from the new season, the status of Bellamy and Clarke’s relationship, and how Bellamy has matured and changed over the seasons. He also discussed making his directorial debut with an episode of season six. Do you like the fact The 100 constantly reinvents itself? And it throws a new Bellamy into the mix because you have to transform for each new season, right? Bob Morley: “Yeah. He definitely changed a lot last season, season five, into a much more, I guess, mature leader. Trying to use his head and his heart. I’ve always enjoyed playing Bellamy as the hothead which he hasn’t really been for a little while now. So, there’s part of me that’s kind of hoping that will come back for a bit, you know? Will Bellamy and Clarke be co-leaders again? The bar is pretty low. Did your injury affect shooting? No matter the season, Bellarke fans remain interested in the relationship. Are there any sweet moments this season? Bob Morley: “Yeah. No, absolutely. The chemistry that Eliza (Taylor) and I have working I’ve never really had with anyone else. It’s such an easy, comfortable thing. Is there a direction you wanted season six to go for Bellamy? Is there anyone you pushed for him to have more scenes with? And you’re directing this season? This is your first time directing?